Programming in Java is largely based on building data types. This style of programming is known as object-oriented programming, as it revolves around the concept of an object, an entity that holds a data type value. With Java's primitive types we are largely confined to programs that operate on numbers, but with reference types we can write programs that operate on strings, pictures, sounds, or any of hundreds of other abstractions that are available in Java's standard libraries or on our booksite. Even more significant than libraries of predefined data types is that the range of data types available in Java programming is open-ended, because you can define your own data types. Data types. A data type is a set of values and a set of operations on those values. Abstract data types. An abstract data type is a data type whose internal representation is hidden from the client. Objects. An object is an entity that can take on a data-type value. Objects are characterized by three essential properties: The state of an object is a value from its data type; the identity of an object distinguishes one object from another; the behavior of an object is the effect of data-type operations. In Java, a reference is a mechanism for accessing an object. Client. A client is a program that uses a data type. Implementation. An implementation is the code that implements the data type specified in an API. A client does not need to know how a data type is implemented in order to be able to use it. Creating objects. Each data-type value is stored in an object. To create (or instantiate) an individual object, we invoke a constructor by using the keyword new. Each time that a client uses new, the system allocates memory space for the object, initializes its value, and returns a reference to the object. Invoking instance methods. The purpose of an instance method is to operate on data-type values. Instance methods have all of the properties of static methods: arguments are passed by value, method names can be overloaded, they may have a return value, and they may cause side effects. They have an additional property that characterizes them: each invocation is associated with an object. For example, Flips.java is a Counter.java client that takes a command-line argument T and simulate T coin flips. The code prints the string "2 ones". Objects as arguments. You can pass objects as arguments to methods. Java passes a copy of the argument value from the calling program to the method. This arrangement is known as pass by value. 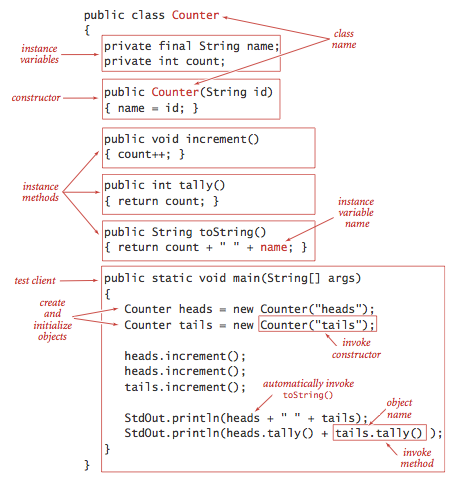 If you pass a reference to an object of type Counter, Java passes a copy of that reference. Thus, the method cannot change the original reference (make it point to a different Counter), but it can change the value of the object, for example by using the reference to call increment(). Objects as return values. You can also use an object as a return value from a method. The method might return an object passed to it as an argument, as in FlipsMax.java, or it might create an object and return a reference to it. This capability is important because Java methods allow only one return value—using objects enables us to write code that, in effect, returns multiple values. Arrays are objects. In Java, every value of any nonprimitive type is an object. In particular, arrays are objects. As with strings, there is special language support for certain operations on arrays: declarations, initialization, and indexing. As with any other object, when we pass an array to a method or use an array variable on the right hand side of an assignment statement, we are making a copy of the array reference, not a copy of the array. Arrays of objects. Array entries can be of any type. When we create an array of objects, we do so in two steps: create the array, using the bracket syntax for array constructors; create each object in the array, using a standard constructor for each. Rolls.java simulates rolling a die, using an array of Counter objects to keep track of the number of occurrences of each possible value. Examples of abstract data types. Geometric objects. A natural example of object-oriented programming is designing data types for geometric objects. Point2D.java is a data type for points in the plane. Interval1D.java is a data type for one-dimensional intervals. Interval2D.java is a data type for two-dimensional intervals. Date.java is a data type that represents the day, month, and year. Transaction.java is a data type that represents a customer, a date, and an amount. Accumulator. Accumulator.java defines an ADT that provides to clients the ability to maintain a running average of data values. 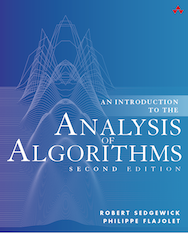 For example, we use this data type frequently in this book to process experimental results. VisualAccumulator.java in an enhanced version that also plots the data (in gray) and the running average (in red). String has special language support for initialization and concatenation: instead of creating and initializing a string with a constructor, we can use a string literal; instead of invoking the method concat() we can use the + operator. Input and output revisited. A disadvantage of the StdIn, StdOut, and StdDraw libraries of Section 1.1 is that they restrict us to working with just one input file, one output file, and one drawing for any given program. With object-oriented programming, we can define similar mechanisms that allow us to work with multiple input streams, output streams, and drawings within one program. Specifically, our standard library includes the data types In.java, Out.java, and Draw.java that support multiple input and output streams. We implement ADTs with a Java class, putting the code in a file with the same name as the class, followed by the .java extension. The first statements in the file declare instance variables that define the data-type values. Following the instance variables are the constructor and the instance methods that implement operations on data-type values. Instance variables. To define data-type values (the state of each object), we declare instance variables in much the same way as we declare local variables. There are numerous values corresponding to each instance variable (one for each object that is an instance of the data type). Each declaration is qualified by a visibility modifier. In ADT implementations, we use private, using a Java language mechanism to enforce the idea that the representation of an ADT is to be hidden from the client, and also final, if the value is not to be changed once it is initialized. Constructors. The constructor establishes an object's identity and initializes the instance variables. Constructors always share the same name as the class. We can overload the name and have multiple constructors with different signatures, just as with methods. If no other constructor is defined, a default no-argument constructor is implicit, has no arguments, and initializes instance values to default values. The default values of instance variables are 0 for primitive numeric types, false for boolean, and null. Instance methods. Instance methods specify the data-type operations. Each instance method has a return type, a signature (which specifies its name and the types and names of its parameter variables), and a body (which consists of a sequence of statements, including a return statement that provides a value of the return type back to the client). When a client invokes a method, the parameter values (if any) are initialized with client values, the statements are executed until a return value is computed, and the value is returned to the client. Instance methods may be public (specified in the API) or private (used to organize the computation and not available to clients). Scope. Instance methods use three kinds of variables: parameter variables, local variables, and instance variables. The first two of these are the same as for static methods: parameter variables are specified in the method signature and initialized with client values when the method is called, and local variables are declared and initialized within the method body. The scope of parameter variables is the entire method; the scope of local variables is the following statements in the block where they are defined. 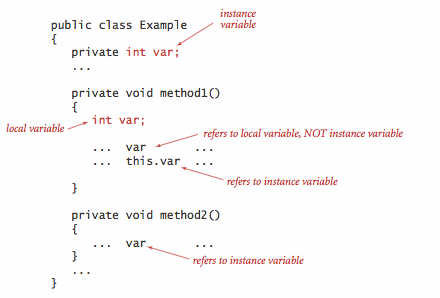 Instance variables hold data-type values for objects in a class, and their scope is the entire class (whenever there is an ambiguity, you can use the this prefix to identify instance variables). 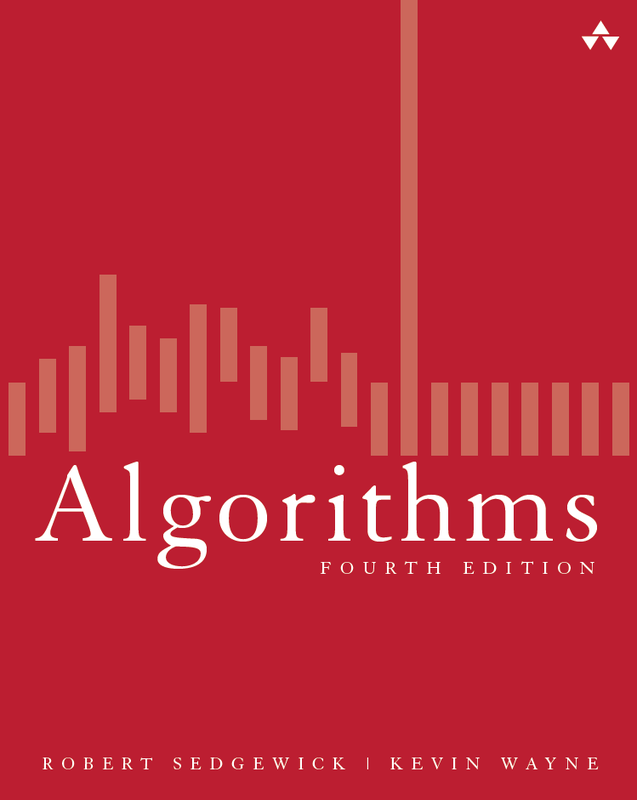 We put important information related to designing data types in one place for reference and to set the stage for implementations throughout this book. Encapsulation. A hallmark of object-oriented programming is that it enables us to encapsulate data types within their implementations, to facilitate separate development of clients and data type implementations. Encapsulation enables modular programming. Too hard to implement, making it difficult or impossible to develop. Too hard to use, leading to complicated client code. Too narrow, omitting methods that clients need. Too wide, including a large number of methods not needed by any client. Too general, providing no useful abstractions. Too specific, providing an abstraction so diffuse as to be useless. Too dependent on a particular representation, therefore not freeing client code from the details of the representation. In summary, provide to clients the methods they need and no others. Construct a SET from an array of given values. Determine whether a given value is in the set. These operations are encapsulated in StaticSETofInts.java and Whitelist.java. Interface inheritance. Java provides language support for defining relationships among objects, known as inheritance. The first inheritance mechanism that we consider is known as subtyping, which allows us to specify a relationship between otherwise unrelated classes by specifying in an interface a set of common methods that each implementing class must contain. We use interface inheritance for comparison and for iteration. Implementation inheritance. Java also supports another inheritance mechanism known as subclassing, which is a powerful technique that enables a programmer to change behavior and add functionality without rewriting an entire class from scratch. The idea is to define a new class (subclass) that inherits instance methods and instance variables from another class (superclass). We avoid subclassing in this book because it generally works against encapsulation. Certain vestiges of the approach are built in to Java and therefore unavoidable: specifically, every class is a subclass of Object. String conversion. 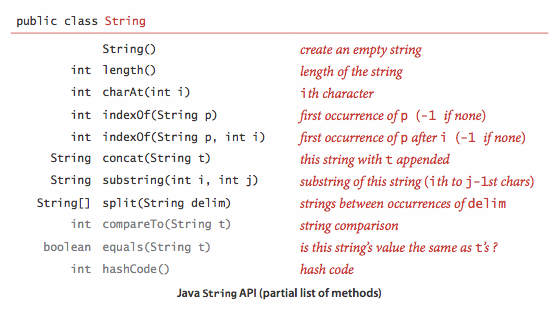 Every Java type inherits toString() from Object. This convention is the basis for Java's automatic conversion of one operand of the concatenation operator + to a String whenever the other operand is a String. We generally include implementations of toString() that override the default, as in Date.java and Transaction.java. Java automatically converts from primitive types to wrapper types (autoboxing) and back (auto-unboxing) when warranted. In addition, it must take an Object as argument and satisfy the following properties. Adhering to these Java conventions can be tricky, as illustrated for Date.java and Transaction.java. Memory management. One of Java's most significant features is its ability to automatically manage memory. When an object can no longer be referenced, it is said to be orphaned. Java keeps track of orphaned objects and returning the memory they use to a pool of free memory. Reclaiming memory in this way is known as garbage collection. Immutability. An immutable data type has the property that the value of an object never changes once constructed. By contrast, a mutable data type manipulates object values that are intended to change. Java's language support for helping to enforce immutability is the final modifier. When you declare a variable to be final, you are promising to assign it a value only once, either in an initializer or in the constructor. Code that could modify the value of a final variable leads to a compile-time error. Vector.java is an immutable data type for vectors. In order to guarantee immutability, it defensively copies the mutable constructor argument. ArithmeticException. Thrown when an exceptional arithmetic condition (such as integer division by zero) occurs. ArrayIndexOutOfBoundsException. Thrown when an array is accessed with an illegal index. NullPointerException. Thrown when null is used where an object is required. OutOfMemoryError. Thrown when the Java Virtual Machine cannot allocate an object because it is out of memory. StackOverflowError. Thrown when a recursive method recurs too deeply. You can also create your own exceptions. The simplest kind is a RuntimeException that terminates execution of the program and prints an error message. you can pinpoint the place where the error occurred. By default, assertions are disabled.You can enable them from the command line by using the -enableassertions flag (-ea for short). Assertions are for debugging: your program should not rely on assertions for normal operation since they may be disabled. Q. Are there any truly immutable classes in Java? A. If you use reflection, you can access the private fields of any class and change them. Program MutableString.java demonstrates how to mutate a String. Program MutableInteger.java demonstrates that this is true even if the instance variable is final. Write a Point2D.java client that takes an integer value N from the command line, generates N random points in the unit square, and computes the distance separating the closest pair of points. A string s is a circular rotation of a string t if it matches when the characters are circularly shifted by any number of positions; e.g., ACTGACG is a circular shift of TGACGAC, and vice versa. Detecting this condition is important in the study of genomic sequences. Write a program that checks whether two given strings s and t are circular shifts of one another. What does the following recursive function return? Solution: Reverse of the string. Using our implementation of Date.java as a model, develop an implementation of Transaction.java. Using our implementation of equals() in Date.java as a model, develop an implementation of equals() for Transaction.java. Rational numbers. Implement an immutable data type Rational.java for rational numbers that supports addition, subtraction, multiplication, and division. You do not have to worry about testing for overflow, but use as instance variables two long values that represent the numerator and denominator to limit the possibility of overflow. Use Euclid's algorithm to ensure that the numerator and denominator never have any common factors. Include a test client that exercises all of your methods. Sample variance for accumulator. Validate that the following code, which adds the methods var() and stddev() to Accumulator.java to compute the mean, sample variance, and sample standard deviation of the numbers presented as arguments to addDataValue(). Reference: Here is a good explanation of this one-pass method, that was first discovered by Welford in 1962. 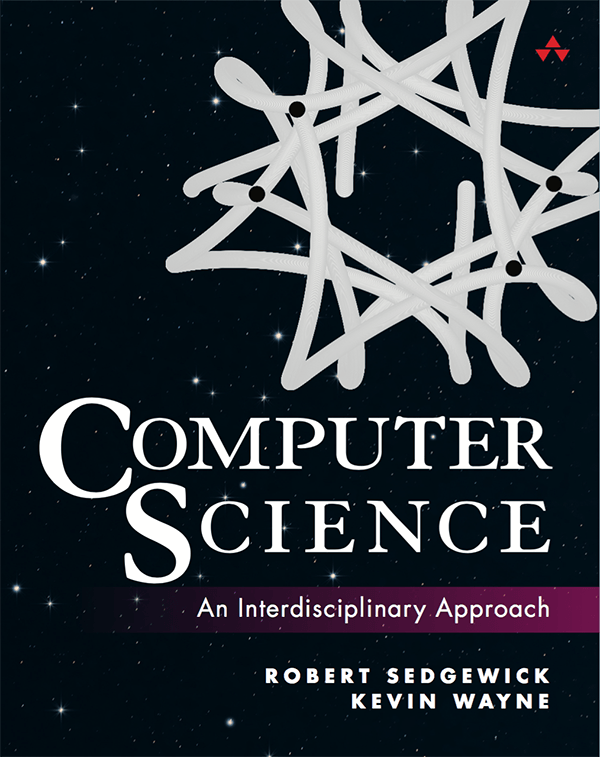 This approach can be applied to computing the skewness, kurtosis, regression coefficients, and Pearson's correlation coefficient. Parsing. 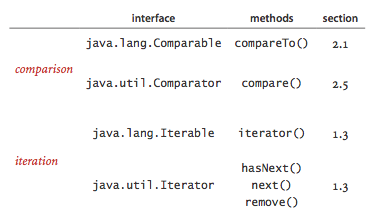 Develop the parse constructors for your Date.java and Transaction.java implementations that take a single String argument to specify the initialization values, using the formats given in the table below.